The clock is ticking for the UK as we prepare to leave the EU. After two years of negotiations, debate and constant news updates, our membership is set to end on 29th March 2019. While there has been plenty of discussions about the impact on big, multi-national businesses, the affect it will have on contractors has been somewhat ignored. 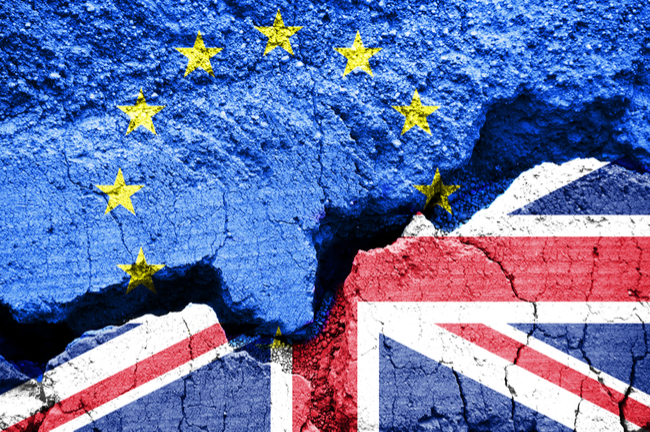 In this post, we take a closer look at the impact of Brexit on contractors and how to prepare for the big day. One of the central problems with Brexit is that it’s filled with uncertainty. At the starting point, a lot of voters were uncertain what exactly they were voting for. That was followed by uncertainty regarding which aspects of EU membership people wanted to keep. At present, we’re uncertain whether we will be getting a transition period or a ‘no-deal’ Brexit. Trade – The UK would move to the default World Trade Organisation trade agreement with external tariffs but without EU rules. Immigration – UK nationals may lose the right to live in the EU, with EU nationals losing their right to live in the UK. Costs – The UK would lose EU subsidies but would no longer have to pay EU membership fees. Alternatively, if we secure a deal, it’s increasingly likely it will feature a transition period. This will allow the UK to continue with the status quo, similar to EU membership, but begin negotiating trade deals with other countries. Already, the uncertainty surrounding Brexit has seen several large companies relocate outside of the UK. It’s also had a significant impact on the UK currency, which has decreased in value against the Euro over the past two years. All that said, there may be an upside to Brexit for contractors. The uncertainty of what will happen in March and throughout 2019 has left lots of businesses reluctant to expand their workforce and take on the skilled workers they need. Nobody wants to commit more of their budget only to find out they don’t have the same resources come March or further down the line. At the same time, no business wants to press the pause button and let their competitors get a head start. Enter contractors, who provide those skills with much more flexibility. Companies can take on contractors to fulfil specialist roles and upskill their workforce on a temporary basis. If required, they can scale down their business just as easily. Another impact of Brexit, whether it’s because of the deal we get or simply down to uncertainty, is a reduction in the number of EU workers in the UK. Again, this could benefit contractors in the short term as it will leave a number of businesses in different industries short of staff. As discussed above, these businesses might not want a permanent solution as they don’t know whether these workers can return or for how long their business can commit resources. As a more flexible solution, contractors could see increasing demand for their services. On top of that, there is the technical side of Brexit. Taxation, employment law and GDPR are just a few examples of how EU legislation impacts UK businesses. Whether we leave with a deal or no deal, there will be changes to legislation. As well as creating that legislation, the country needs to adjust to the changes and ensure they are implemented. As a result, there may be much greater demand for expertise in finance, law and IT respectively to deal with legislative changes as we leave the EU. This will likely lead to the creation of short-term Brexit focused job opportunities for contractors – an economy purpose-built for change. While businesses will be keen to bring in contractors and press on with short-term projects, their long-term plans might have to go on the back burner or even be cancelled. For contractors, that may mean less long-term work, and a reliance on short-term roles. The whole scenario has also made the UK less attractive to multi-national companies, whether it’s because of changes to regulations, tariffs or just complexities with their workforce. As a result, we can expect less investment in the UK economy as these large corporations set up elsewhere. That would mean less work for contractors across several industries, particularly construction. As well as EU workers having to leave the UK, Brexit could force thousands of UK contractors based in the EU to return home. At the very least, they will need to consider a visa to continue working in the EU on a long-term basis. Because of how time consuming and costly visas can be, it may also result in EU companies simply sourcing contractors from EU member states. If, as some reports suggest, Brexit does trigger a recession, there could be another knock-on effect for contractors. If businesses need to downsize their workforce, their first port of call will likely be temporary workers, rather than their permanent members of staff. For the most part this is because of the notice and redundancy pay permanent workers would be entitled to, while contractors would have no such benefits. In truth, only time will tell what effect Brexit will have on contractors – and the British public more broadly. However, it’s unlikely that the demand for skilled workers will suffer too much, even with the worst of deals. Contractors can prepare for Brexit simply by staying on top of their work, keeping some of their income set aside and focusing on building relationship with UK-based employers. If you’re looking to make things easier amongst all the uncertainty, Umbrella Broker can help. Our purpose-built comparison site allows contractors to compare umbrella companies based on a range of criteria and find the one that best suits their needs. It’s never been easier to find your perfect umbrella company.